Program participants included 18 faculty and staff from various departments across campus that serve in leadership roles. The nine-month program kicked off last August with a two-day intensive session structured around a 360° assessment for each member. The developmental topics offered throughout the year included: Leading Authentically, Communicating Authentically, Powerful Conversations, Reinventing Diversity, Thriving in Times of Change, Leading with Your Strengths, and Leading Authentically: Putting it all Together. Opportunities to learn more about the capstone project will be offered in the fall. The Leadership Development Program is open to administrative senior leaders and tenured faculty members who are in leadership roles, or who have a desire to attain one in the future. Participants meet for monthly sessions throughout the academic year that focus on critical leadership/management topics, as well as individual coaching to focus on personal desired outcomes. Program participants also work in small teams on project ideas identified within the Strategic Plan or provided by the Cabinet. The LDP is offered every other year. The next program will begin in Fall 2015. 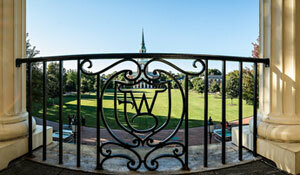 Learn more about leadership and management opportunities at Wake Forest on the PDC website.